Firstly, we are really excited that you want to be involved in the work of Black and Pink! While we absolutely think people under 18 can make great decisions for themselves, we are also aware that parents and other adult guardians can get very upset when young people are writing to prisoners. We also know that there are many prisoners who are not allowed to write to people who are under 18. 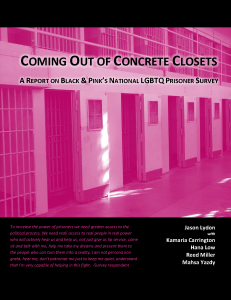 It is our fear that an upset parent or adult guardian would call the prison where a Black and Pink member is being held and file complaints against them, thus landing the incarcerated member of Black and Pink in solitary confinement, or worse, accruing more prison time because of the letter writing. But don’t worry, there are ways you can be involved in this work! Are you part of a youth group? A Gay/Straight Alliance? A religious youth group? One way to get around some of the trouble would be to write as a group. We even have some resources on how best to do this. You can read our resource HERE! 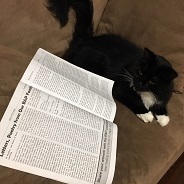 You can read letters and respond for free to prisoner blog posts (sent in the mail) through our friends at Between The Bars! You can comment on the letters and their program will send your comments to the prisoner and then they will post the prisoner responses as well. This is a great way to connect to prisoner bloggers, including several of our members, and not put anyone at risk. Check out their website HERE! Please know that we impose these restrictions not because we do not trust you or believe in your commitment to LGBTQ prisoners. We put up these restrictions in order to keep the prison system from having another tool to harm Black and Pink members. Please do let us know if you have any questions. 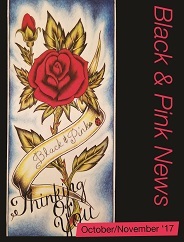 You can email members@blackandpink.org.